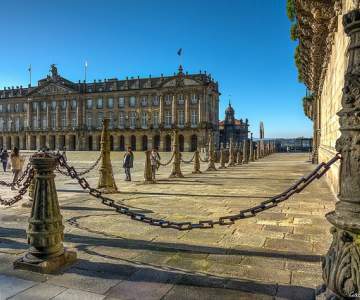 Cheap flights to Santiago de Compostela? It doesn't take sore feet to intensively enjoy Santiago de Compostela. 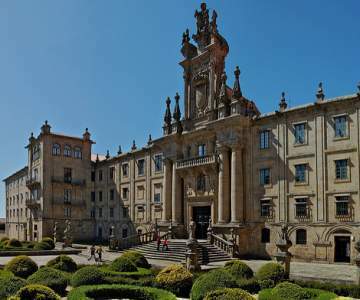 Look here for when a flight to Santiago de Compostela is the cheapest and book your chance! Hover with your mouse over the graph to look at the exact price for each day. 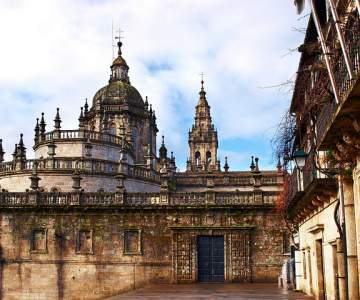 Look here for when a flight to Santiago de Compostela is the cheapest and book your chance! 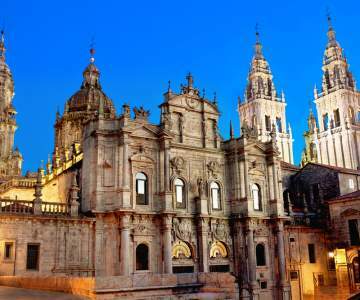 Cheap flights to Santiago de Compostela. A travel guru doesn't make a full-blooded hiker. Luckily, there are quite a few cheap tickets from Brussels Airlines to Santiago de Compostela. Painless feet might help you focus on the mighty basilica and the irresistible atmosphere of the city itself. Make sure you visit the Abastos market and get completely lost in the old town's bustling streets. 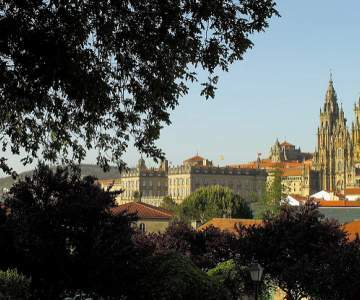 Santiago de Compostela is only available in the summer season, between may and november.